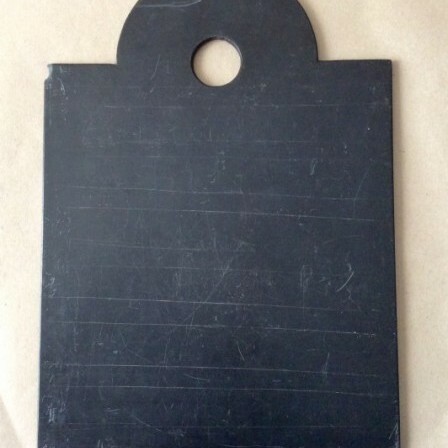 Antique 19th century Welsh school writing slate. Small Personal ItemsEtc. Back to miscellaneous Back to Small Personal ItemsEtc. 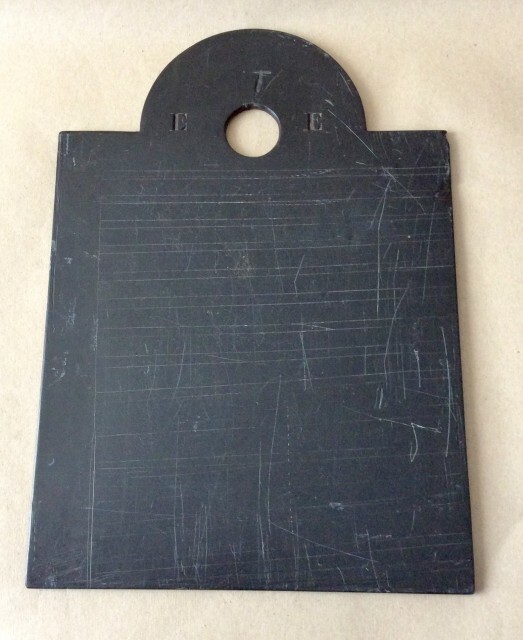 Antique 19th century Welsh school writing slate, the arched rectangle with owners initials. 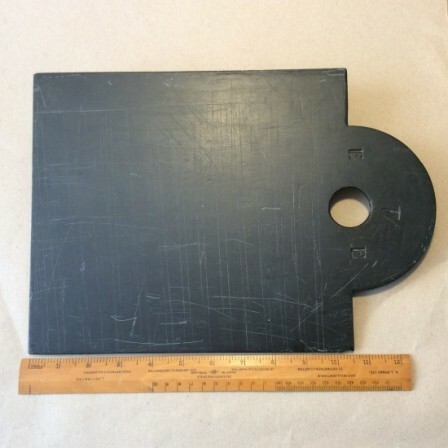 Description: Lovely shaped Welsh school slate. The arched top with hole to hang or carry the large slate. The slate scored naively with lines. Two well engraved initial Es to either side of hole. Maybe a letter T added later by a child. Some chips and damage to corners. Superb size and patina. Dimensions: Width 23.9cm, Height 33.9cm, Thickness 4mm.